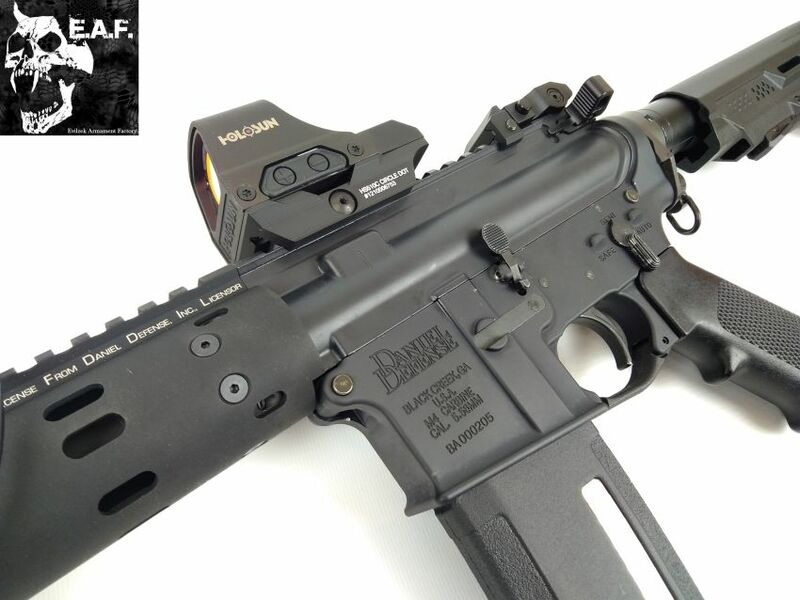 Socom Gear CNC lower receiver Daniel Defense. 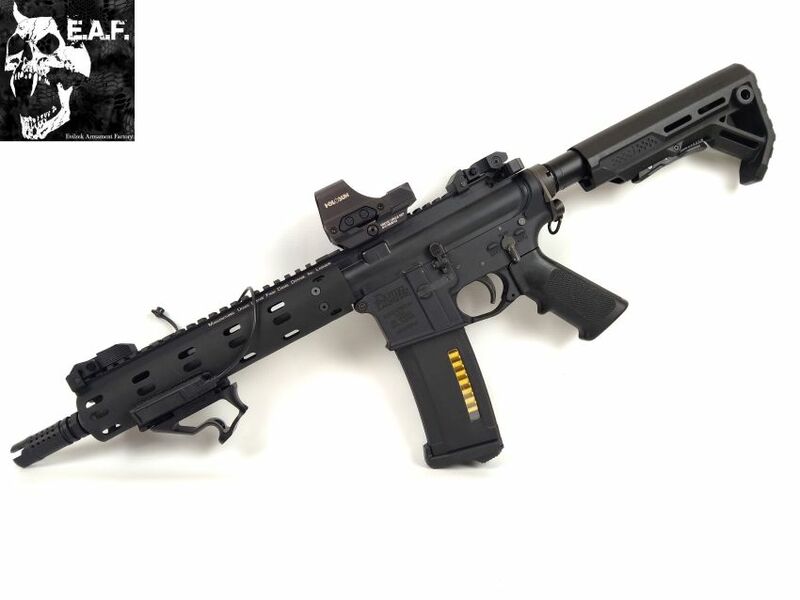 Madbull Daniel Defense MFR 9″. 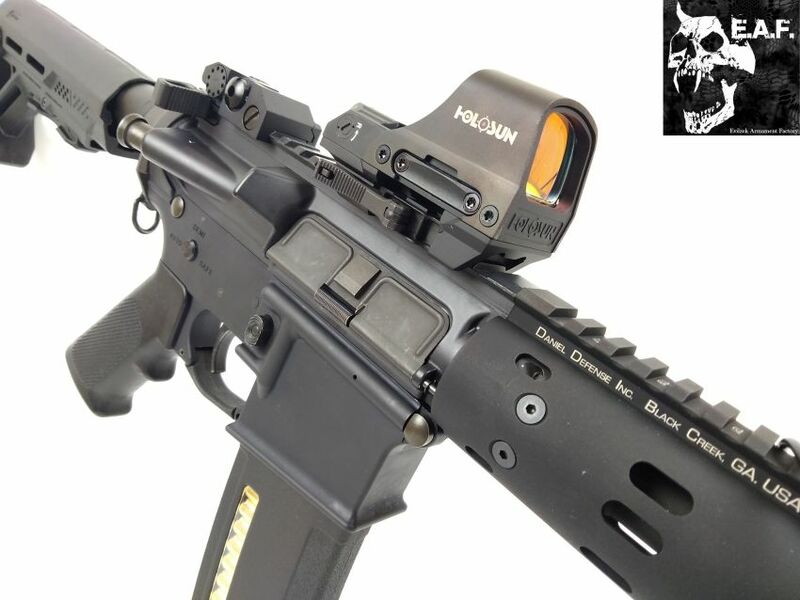 Big Dragon Troy folding battle sight. 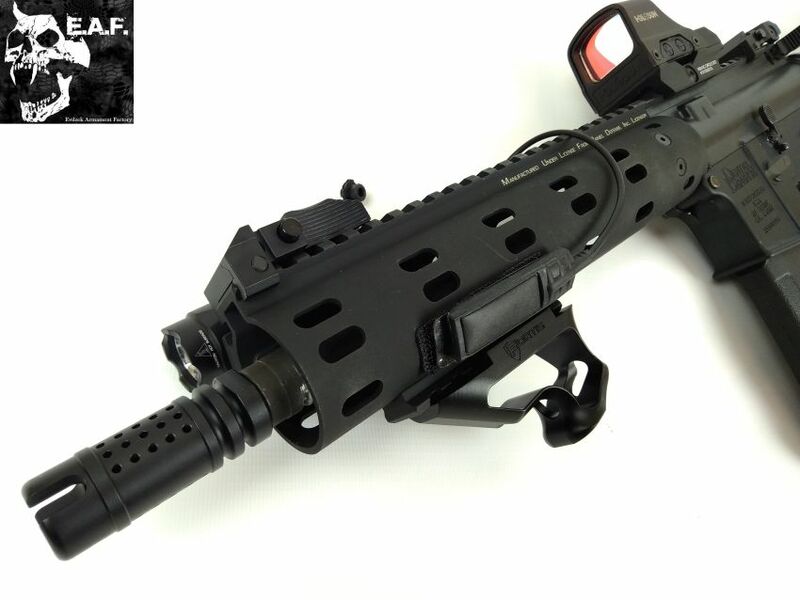 Strike Industries Viper MOD.1 stock. 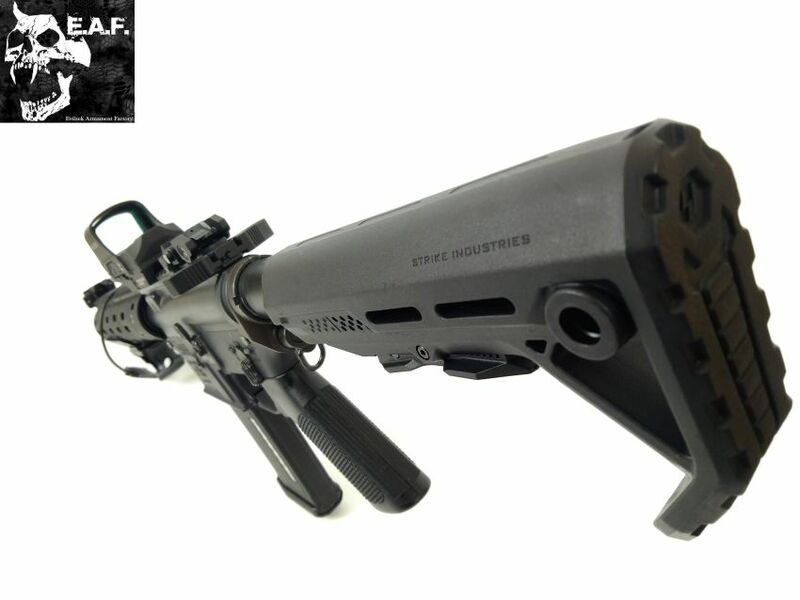 PTS Fortis Shift angle grip short. 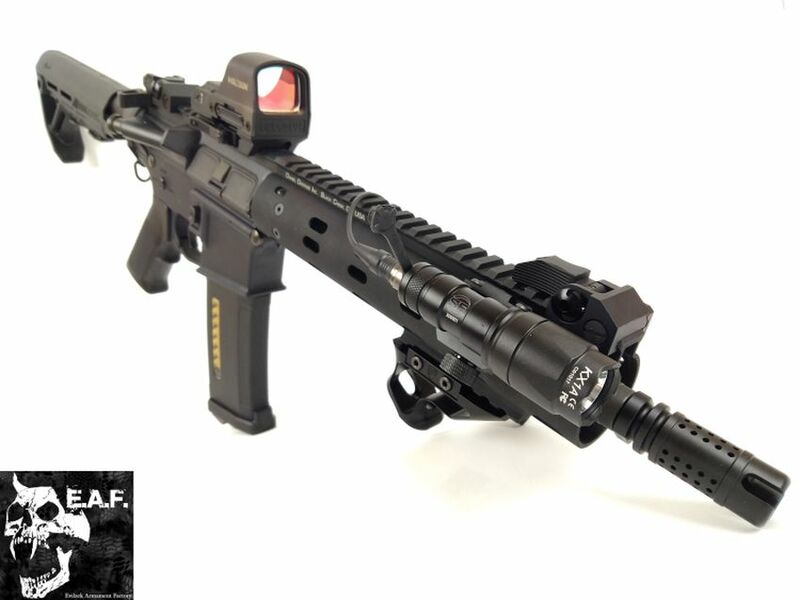 PTS Griffin Armament M4SDII Flash Compensator. 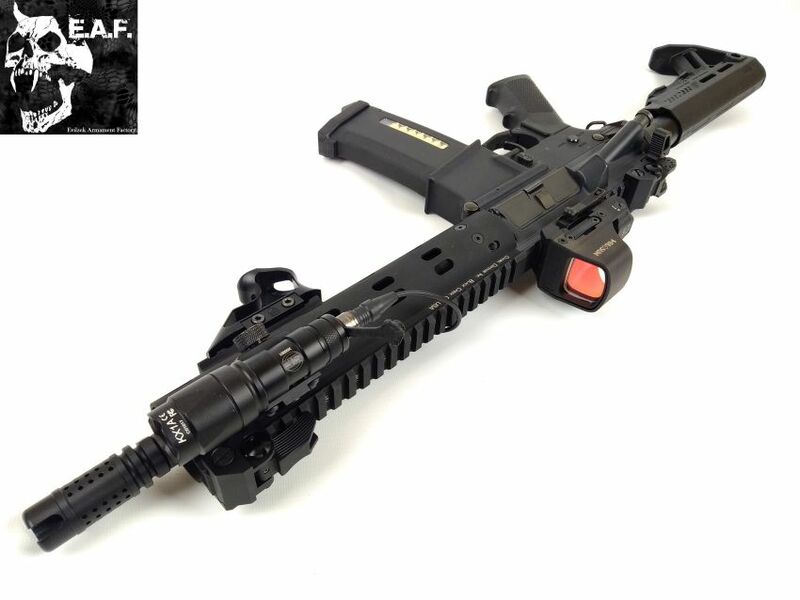 PTS AXTS Raptor Ambidextrous Charging Handle. 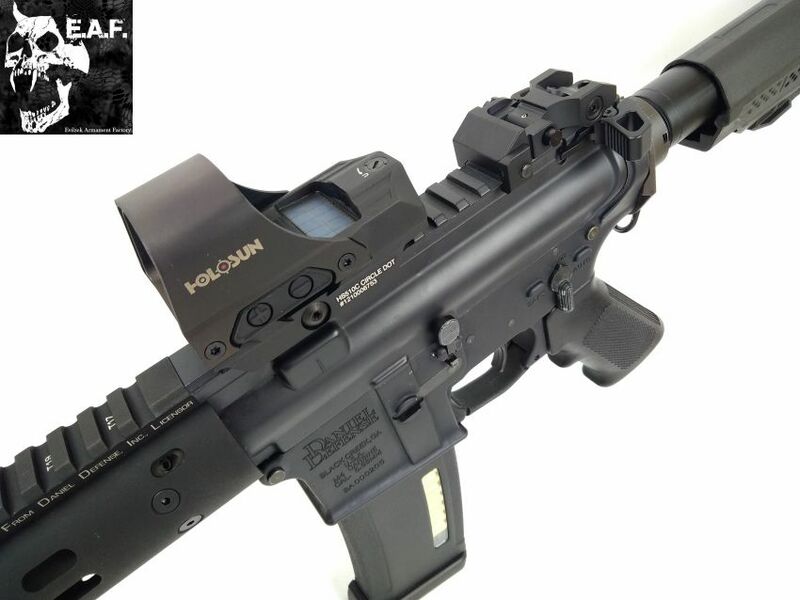 King Arms cylinder set for PTW.